In the realms of neurology referral you might be forgiven for believing it was all surgery, surgery, surgery but our next patient changes that initial perception. This gorgeous little man is called Stan. Stan presented to Jacques with a history of ataxia and nystagmus in the form of episodes which progressively got worse which prompted his referral. Stan underwent a thorough neurological examination by Jacques, which identified a head tilt and spontaneous nystagmus. Due to the findings of the neurological examination and Stands history Jacques was able diagnose Right Vestibular Syndrome and right facial nerve paralysis. 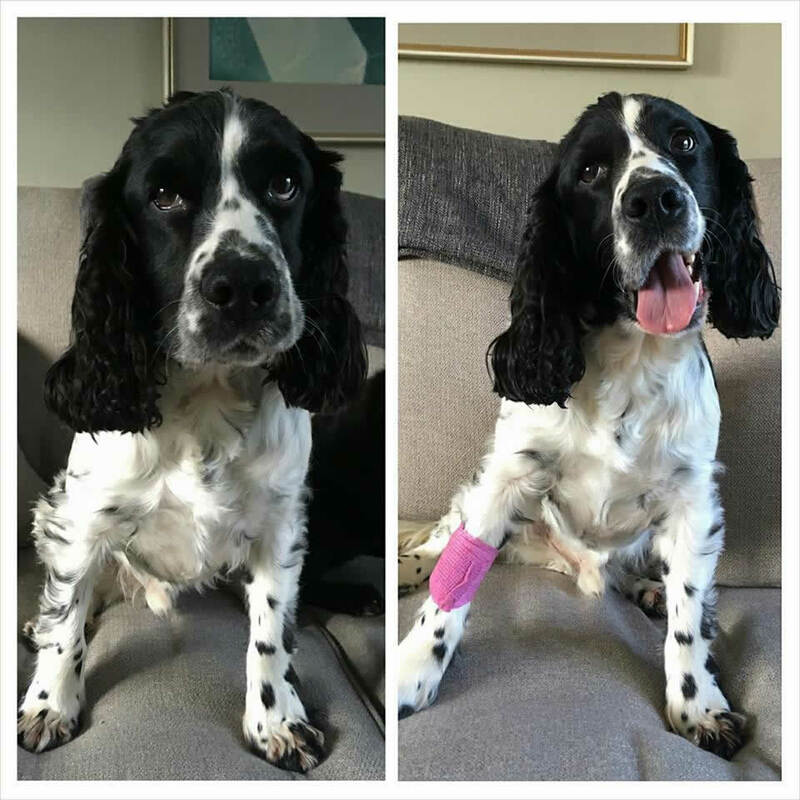 He went home with his owners without having an MRI or surgery with the view of a re-examination if he did not make steady improvement. While the facial paralysis was likely to be permanent, the other signs he was showing should improve with time. After a few weeks at home Stan is making steady progress and the severity of the clinical signs have decreased significantly. Stan’s owners are very happy to have him home and we wish him continued progress and good times for the future. He really is a very handsome boy!!! !